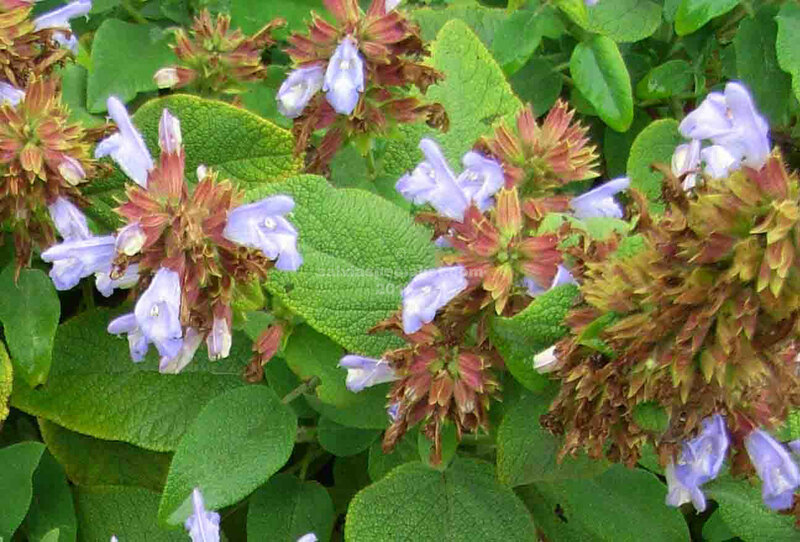 This is a pleasant low spreading salvia from the Balkans and thereabouts. It will not take humidity or even watering in summer when it doesn’t want it. It will take cool and water but not heat and water. It would need to be established in autumn or winter and then deserted in summer if you are inland with hot dry summers. It has mauve summer flowers. It is hopeless in a watered nursery situation unless you have a section you don’t water much. How much water to give plants which don’t want water is one of the most vexed questions for me in hot inland New South Wales. A huge amount of discernment and experience is needed. People in the Dandenongs etc with frequent moisture and cool temperatures would not even know what I am talking about! It is really maddening when you have some lovely plants in September and they are dead from overwatering by November so I am not going to try and stock this plant. It is about in Australia but possibly only found in serious collectors’ gardens. Seed is not too hard to obtain either if you are a serious searcher.